There are tens of thousands of of people digitizing, indexing, and preserving images of the past, whether they be document images, photographs, postcards, newspapers, and so many diverse records. New materials are literally discovered everyday. It takes the efforts of countless unsung heroes to organize and prepare these historical and genealogical treasures for preservation, and then to generate the highest quality digital images possible. The images then need to be indexed for ease of location, and transcriptions to fulfill placing them in context. 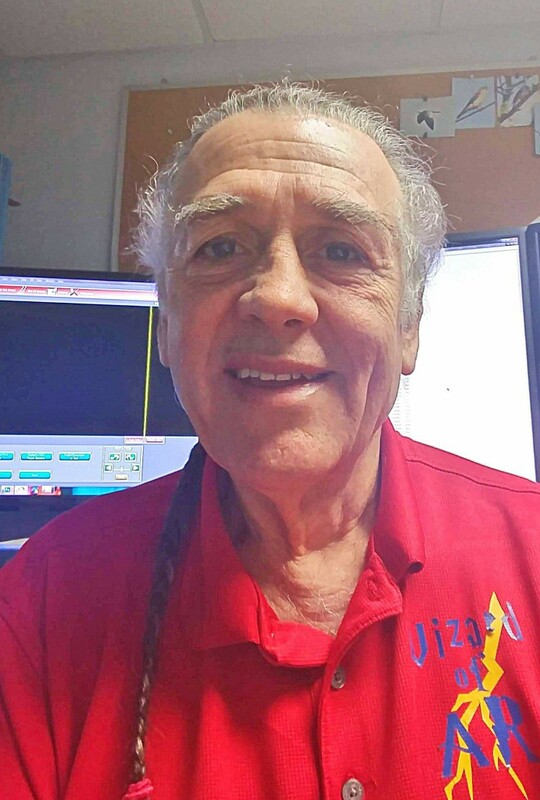 Our first individual winner in the Unsung Heroes Award is Jim Powell, Jr., of Waldo, Alachua County Florida. Jim is an employee of the Alachua County Clerk of Court, J.K. "Jess" Irby, Esq. Alachua County was carved from Duval and Saint John's Counties and was organized on 29 February 1824 and Gainesville is its county seat. Needless to say, courthouse space required the establishment of dedicated off-site storage. This building south of downtown Gainesville is referred to as Ancient Records. Jim Powell counts himself lucky to have landed the job of Ancient Records Coordinator, responsible for nearly 200 years of records. It was his love of history and his experience in programming and photography that began his journey into digitizing the ancient records, and developing a huge multi-state group of dedicated volunteer who help clean up digital images, index them, and every-word transcribe their contents. He even constructed a book scanner and has written computer programs to accelerate sheet feeding scanning and file name assignment. Not only does digitizing, indexing, and transcribing make access from the courthouse convenient for county business, but it also provides free online searchable access for genealogists and historians. The only documents not freely every-word searchable and accessible are the probate files, although will book indexes are available. At present, the Alachua County official records date from the 1820s through the 1970s including marriage records, deeds, mortgages, commissioners minutes (through 1992), will book indexes, Soldiers and Sailor Books, and more. Nearly 500,000 images have been digitized and are every-word searchable, and over 35,000 pages have been transcribed. The availability of these records allows anyone in the world easy access to Alachua County ancestors and to ancestors who lived in the jurisdiction of Alachua County prior to other counties being split off from Alachua. Visit the Ancient Records website at http://www.alachuaclerk.org/archive/default.cfm. Jim Powell, Jr., is the epitome of one person who turned his vision and a passion into a brilliant community records resource for the rest of the world. The Church of Jesus Christ of Latter-day Saints, through FamilySearch International, has long been a supporter of working with various partners to facilitate more records for those with African Heritage in the United States, such as the Freedmen's Bureau Project in 2016. In addition to these efforts related to family history, the Church's growing relationships in the African American community have included a warm relationship with the leadership for the NAACP with whom we are working on community efforts to further education and employment opportunities. Nearly half of all enslaved Africans forced to America through the Transatlantic Slave Trade arrived in Charleston, South Carolina and the vast majority disembarked at Gadsden’s Wharf, the future home of the International African American Museum (IAAM) and one of the most significant and sacred sites of the African American experience in the Western hemisphere. The IAAM, a museum, memorial and site of conscience, will present unvarnished history and culture, commemorate and celebrate the foundational role that Africans and their descendants played in the making of America, and highlight their diasporic connections around the world. It will include immersive, interactive exhibits engaging to all ages and feature the Center for Family History, a leading genealogy archive that will help visitors identify their individual threads in the complex tapestry of history. I'm excited to be attending yet another RootsTech in Salt Lake City, and I already have quite the busy schedule there! If you find yourself there, you can see me present (twice) a brand-new hands-on workshop about advanced features of Evernote...although the workshops are an extra charge (and I don't know if there remain any openings). I'll also be making two of my favorite presentations, one that's an introduction to DNA testing (I'm also giving that one twice) and one about using the FAN club principle to break through brick walls. But perhaps more important than anything else, I'll be at the Vivid-Pix booth at the same time each morning of RootsTech, to be part of the announcements of the winners of the Unsung Heroes Award. In addition to seeing lots of friends, I plan to bring along my digital voice recorder and grab a few quick interviews with people I haven't spoken with lately. These will likely turn up in some of the next episodes of The Genealogy Guys Podcast. For me, the travel starts early Tuesday morning. RootsTech 2019 Salt Lake City, here I come! Unsung Heroes Awards - Coming to RootsTech! 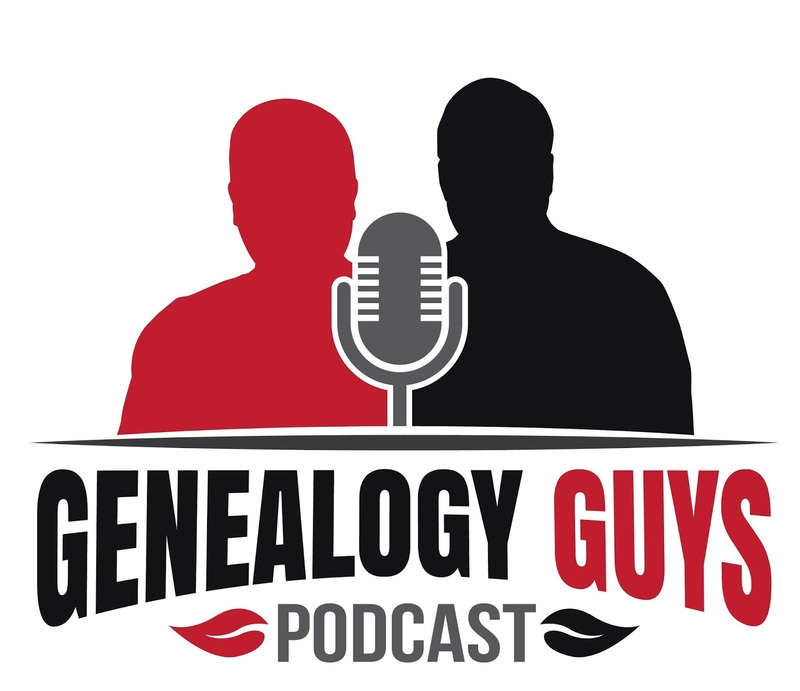 The Genealogy Guys Podcast and Vivid-Pix have selected the first quarterly winners of our new Unsung Heroes Awards, and those winners will be announced at the Vivid-Pix Booth #1538 at RootsTech in Salt Lake City next week. 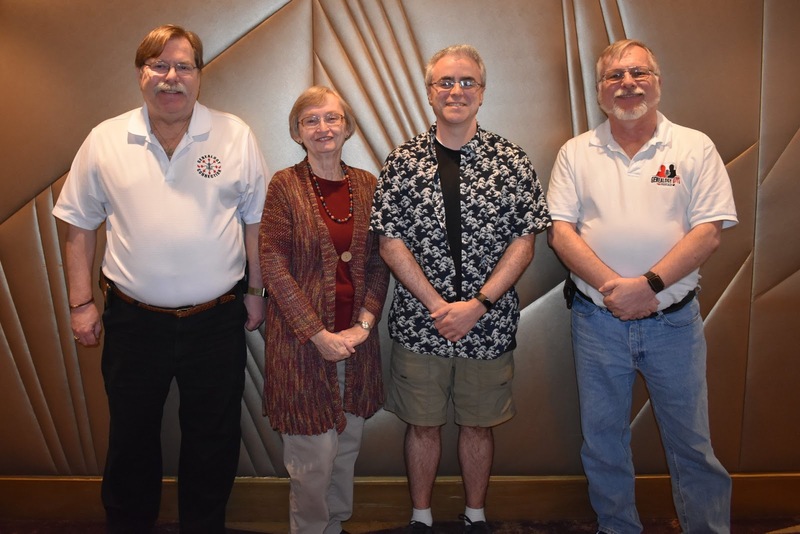 The Unsung Heroes Awards recognize and celebrate the work of great people who volunteer to digitize, index, transcribe, and otherwise preserve historical and genealogical materials, making them available to other researchers. We are so tremendously excited! We received a host of fabulous award nominations and had a very difficult time choosing the first winners. This is a quarterly program, and we have more nominations for future quarters. However, we'll be announcing the next quarterly nominations due date soon, and we encourage you to nominate yourself as well as other individuals, genealogical and historical societies, libraries and archives, and young people! We'll also be adding some new categories so stay tuned. Read more about the Unsung Heroes Awards and join the excitement of what is being accomplished! 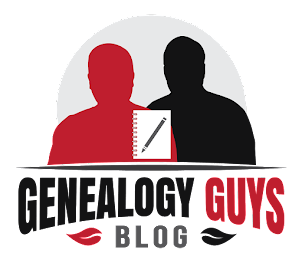 In our last episode of The Genealogy Guys Podcast (#356), Laura wanted to know how people use Excel in genealogy. She is looking for a book on the subject as well. 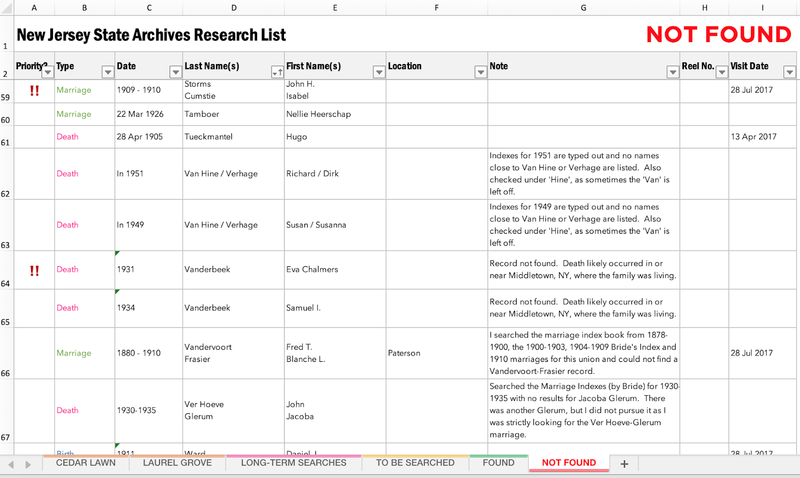 Drew directed Laura to Cyndi's List at https://www.cyndislist.com/ where he did a search for “spreadsheet template” where there are many resources listed, including some genealogy templates. We invited listeners to email us their ideas and uses to share with Laura. Longtime listener and Patreon supporter Mike Scozzari rose to the occasion as a researcher in New Jersey. He shared two examples of interest. 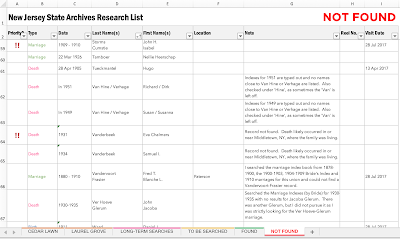 The New Jersey State Archives Not Found list is a good example of a research log. He uses color coding. "Being from NJ with every single one of my genealogical brands having connections to NJ, I’ve spent a lot of times at the State Archives in Trenton. My log started as a list of records that I wanted to find when I went there, then turned into a running list of what I had found and also records that I searched for, but could not locate. Over the last 10+ years, it’s grown from one sheet to 6 sheets that include the 3 categories I mentioned above, as well as a log for two major cemeteries where I have hundreds of relatives buried. I’m including some screenshots of my file which hopefully show you how helpful this file as become. I keep a running list of things I need from Trenton in my “TO BE SEARCHED” sheet, then after my visit, I move the line to either my “FOUND” or “NOT FOUND” sheet and record relevant data. If I find it, I record the date that I found it and the microfilm reel number and if it’s not found, I add any notes, usually showing what I searched, so I know for future visits. The years across the top go from “04” to “55”, meaning 1904 to 1955, which is the years that the NJ State Archives have. Years that are grayed out are years that are irrelevant for the person. For example, Annie Barlow was still alive through 1930, so I grayed out everything from 1904-1929, since I will not find a death certificate in those years. When I get to the archives, I’ll then use the other years like a checklist and keep searching until I find her. It’s a way to keep track of what years I’ve searched and what years I have not, in case my research takes me more than one trip. Say I get there and search 1930 and don’t find anything, I’d then fill that box in with red so I know that I searched it but did not find anything. For the lines that are “Last Name, All”, those are names that I search for anyone with that last name. For the Hendrix line, some boxes are green because those are years I’ve already searched. Years that are grayed out are years that are irrelevant for the person… For example, Annie Barlow was still alive through 1930, so I grayed out everything from 1904-1929, since I will not find a death certificate in those years. When I get to the Archives, I’ll use the other years like a checklist and keep searching until I find her. It’s a way to keep track of what years I’ve searched and what years I have not, in case my research takes me more than one trip. Say I get there and search 1930 and don’t find anything, I’d then fill that box in with red so I know that I searched it but did not find anything. Spreadsheets provide a great deal of customizable flexibility for your research, as Laura and Mike know. Each geographical location and time period can be unique for your family. As Mike knows, too, the State of New Jersey has laws that limit what years documents are accessible to the public and others restricting certain fields. What that means to us is that the spreadsheets we develop for each state/location, time period, and record type may be unique. When we understand the rules and restraints, we can develop these customizable spreadsheet tools that will help us hit the road running better each time. It also helps to maintain specific notes with each spreadsheet to remind us of laws and regulations that may apply to the same documents in specific areas within the same state or county. Thanks for a great inquiry, Laura, and for two excellent examples, Mike! We've received some impressive nominations for our first Unsung Heroes Awards. We'll be evaluating these for the first awards to be announced at RootsTech. There were many nominations received and not every one can win the first time out. But remember that all the nominations will retained for the future quarters' awards. And yes, we plan to do these awards each quarter! And don't feel shy about nominating yourself for digitizing, indexing, and preservation work that you've accomplished. Every scan, every index, and every means of making this data available helps us all! We'l keep adding more updates in this coming two weeks before RootsTech, And we sincerely hope you will get inspired to help at whatever level you can. By now, the world knows that the Norwegian Cruise Line's Epic slammed into a pier at San Juan, Puerto Rico. Yes, that was the ship we sailed but the accident happened this past week and not the week we were aboard. 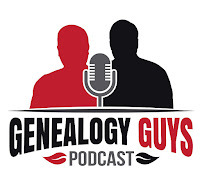 If you've ever wondered what genealogists do in the evenings on board, here's the scoop! We take over a quiet area such as the ship's library and we revel in discussing genealogy. That includes methodologies, important news, DNA, the topics presented that day, and brick walls. 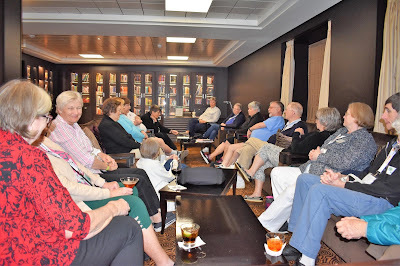 Our group on The Villages Genealogy Society Cruise started on the first cruise they did in 2015 did this and again last week. For many of us, it was the highlight of each day. We made some very good new friends and reinforced long-standing friendships. Most important, we shared lots of great ideas! And here are our speakers: George G. Morgan, C. Ann Staley, Blaine T. Bettinger, and Drew Smith. THANK YOU TO ALL OUR WONDERFUL VILLAGES GENEALOGY SOCIETY ORGANIZERS FOR A GREAT TRIP! Following the resounding success of our first-ever user conference, MyHeritage LIVE, three months ago in Oslo, we have decided to host it again in 2019! 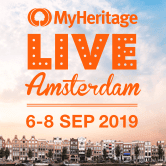 MyHeritage LIVE 2019 will take place September 6–8 2019 in Amsterdam, Netherlands. We cordially invite you to join hundreds of family history enthusiasts from around the world for a weekend of illuminating genealogy and DNA lecture tracks and hands-on workshops. Register now to reserve your spot. 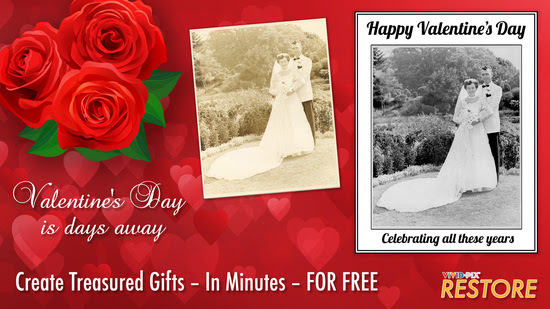 We just received this great idea on 5 February 2019 from Vivix-Pix as a way to create a unique and treasured card for Valentine's Day or for any special occasion! 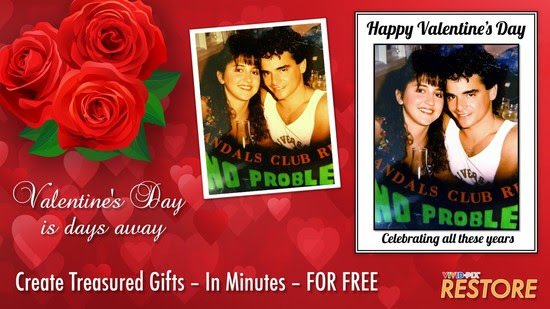 Make great cards or gifts. We received the following from Daniel Horowitz at MyHeritage.com dated 6 February 2019 and wanted to share it with you. We are personally thrilled to learn about the introduction of webinars in other languages! Since February has arrived, I would like to share with you about the series of special activities we are planning for those attending RootsTech between February 27 and March 2. We will have lectures about MyHeritage features and new products during those days, including a luncheon on Friday March 01 at noon, and many demo sessions in a great booth at the main exhibit hall during all the conference dates. If you are attending RootsTech, please stop by to say hi, and if not follow our social media channels to get the latest insides about we will be revealing. We have an exclusive breakfast for our Friends group, on Friday, March 1st, where you will have the opportunity to mingle with all the MyHeritage team and hear the inside scoop of what we will be releasing next. If you have not yet RSVPed, please do so here. I'm happy to invite you to our next webinar "Using MyHeritage Tools to Improve Your Family Tree Data" on Tuesday, February 12, 2019 at 2:00pm Eastern time. This is one more webinar from the MyHeritage Webinar series on Legacy Family Tree Webinars. We are also happy to announce a series of webinars in different languages. The first one will be in Spanish, titled "Cómo explicar los grados de relación familiar" by a guest speaker Gonzalo A. Luengo O. Feel free to share this with all your contacts.To register for any of them or view the full list of upcoming webinars, visit Legacy Family tree Webinars. Being the presenting partner of the Eurovision Song Contest 2019, we are happy to officially kick off our exciting content related to the competition. Over the coming months, we’ll bring you fascinating family history information about some of Eurovision’s biggest stars. Please feel free to read about it here and to stay tuned for more exciting content on our blog. Feel free to share this with all your friends and followers. 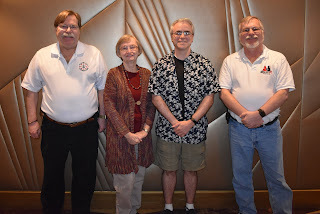 The Genealogy Guys joined our good friends C. Ann Staley and Blaine Bettinger (and both of his boys) for The Villages Genealogical Society Cruise. Wonderful friends from The Villages and other friends joined in for a great time. We even had a Norwegian couple who came along. We sailed on the Norwegian Cruise Line Epic and it truly is one of the biggest (and longest ships) I've ever sailed. WOW! I had to take breaks walking to absorb the atmosphere, the people, and he experience. Each of the four speakers presented three top-notch lectures and we all learned at lot. In the evenings, lots of us gathered in the ship's library to chat about genealogy topics, brick walls, and other things. We became a closer group that way! Lots of cruisers took advantage of the ports and the many shore excursions. 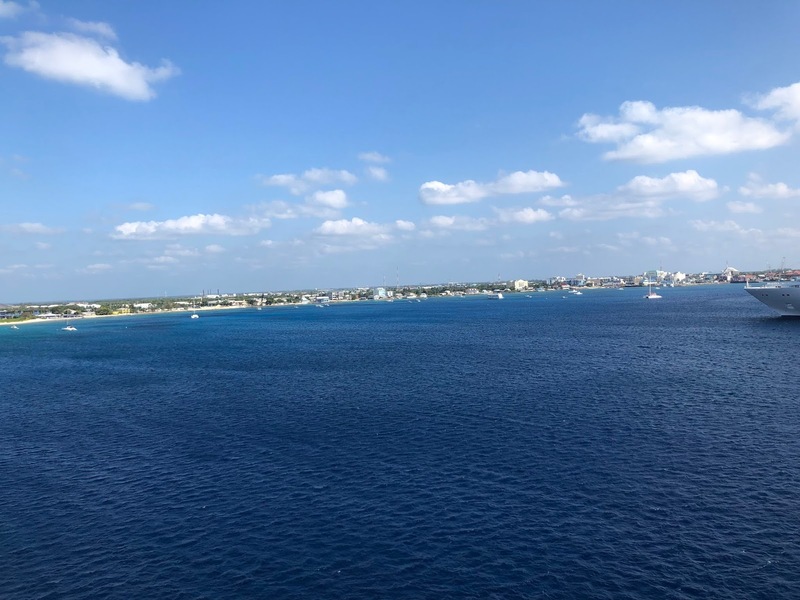 Above, we were approaching Grand Cayman. Unfortunately I do not have any off-shore funds to visit. BUT ... Blaine Bettinger and his sons have ancestors from the Caymans. They were met by a cousin and chauffeured around the island. The boys even got to swim with the big turtles. 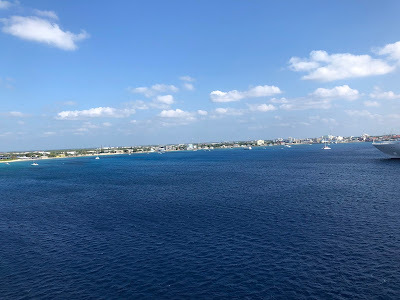 People poured off the ship at Cozumel (below) for great shopping, food, some spirits, and more. Highlights of my trip? I got stoned twice! No, not that way. I went to the on-ship spa for hot stone massages. They were heavenly! Now we're all back home and ready for our next genealogy adventures! Michigan State University has just announced a project, supported by a $15 million grant from the Mellon Foundation, to compile an online hub of databases from around the world to help identify African-American slaves and their descendants. 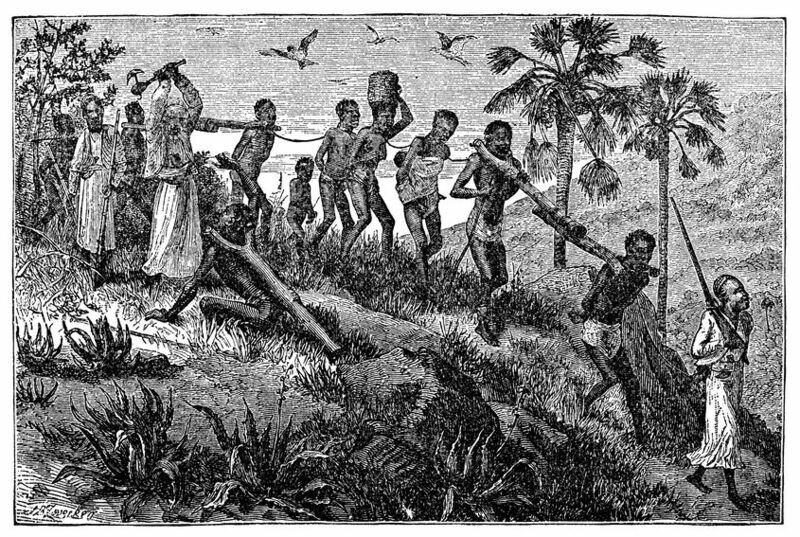 The website Open Culture published this important article on 23 January 2018 at http://www.openculture.com/2018/01/massive-new-slave-trade-database-will-finally-allow-us-to-identify-african-american-slaves-and-their-descendants.html. This project promises to be one of the most important online endeavors for African-American researchers and historians.